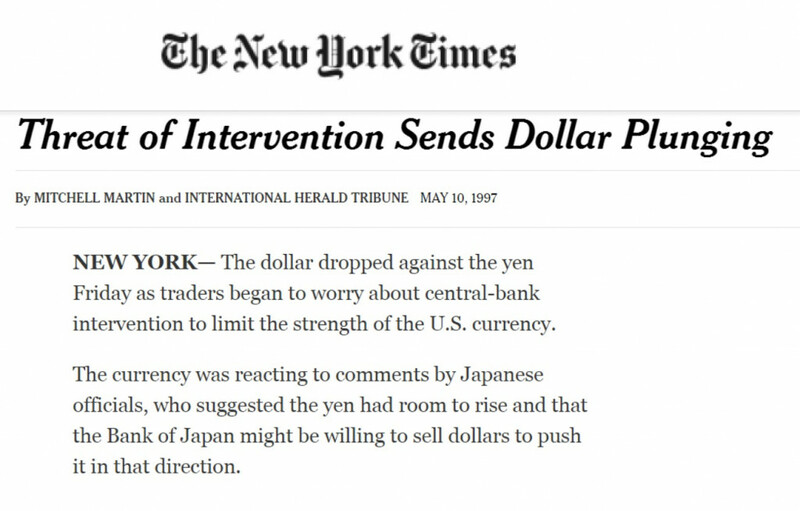 In 1997, Robert Rubin was once again trying to influence the currency markets by talking the dollar down to reduce the trade deficit with Japan. 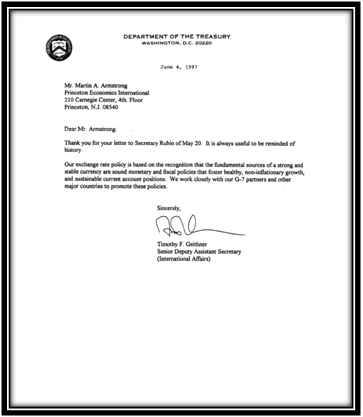 The volatility was rising as this policy created a 6 week crash in the dollar. 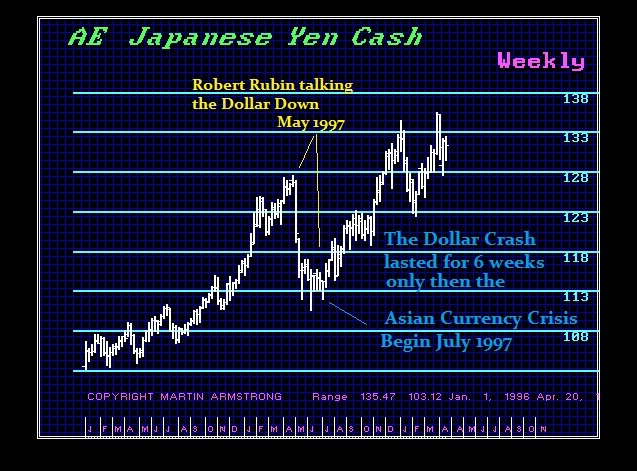 However, this set the stage for the Asian Currency Crisis which began immediately thereafter in July 1997. 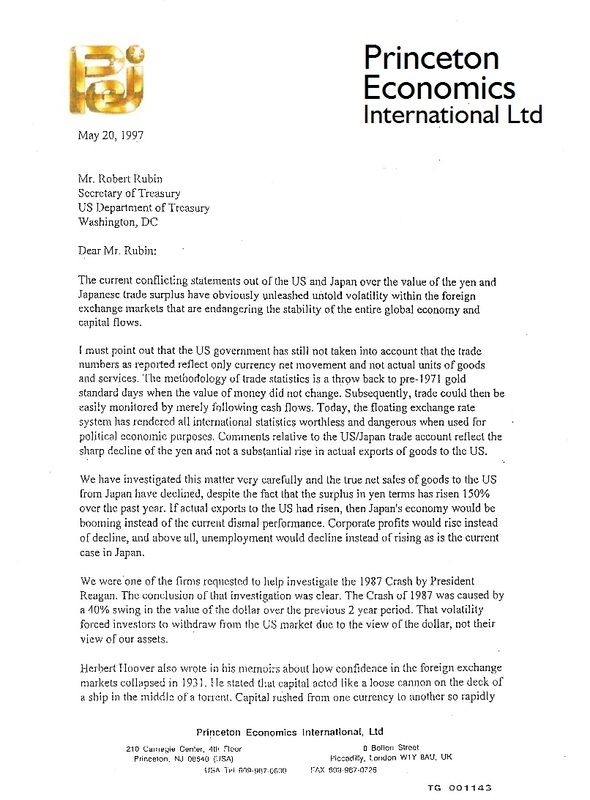 I wrote to Secretary Robert Rubin on May 20th, 1997 warning that attempting to talk the dollar down for trade was the exact same policy which created the 1987 Crash. 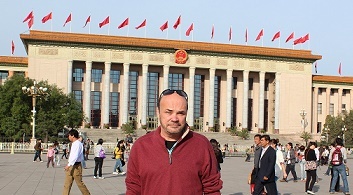 When the Asian Currency Crisis unfolded, I was asked to fly to Beijing to meet with the Central Bank of China. Government simply never learn that you cannot cheat your way to create jobs. 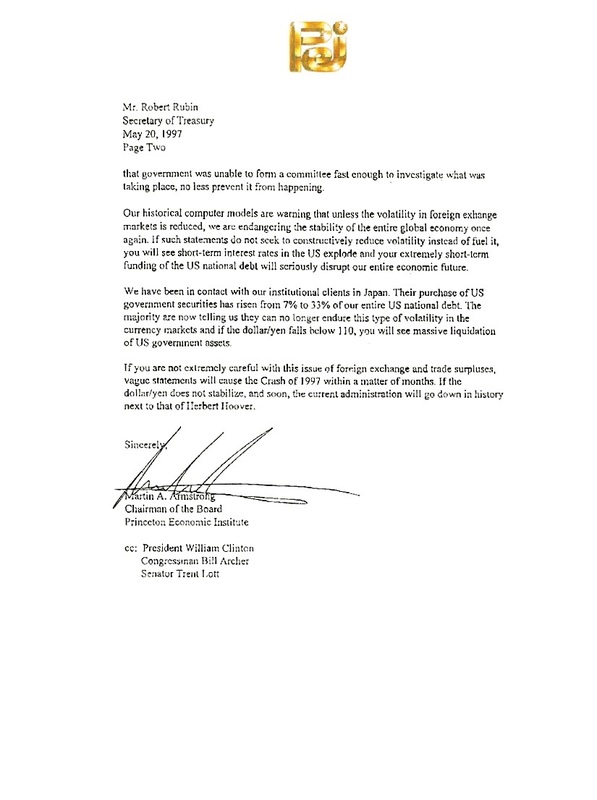 It will always be economic and attempting to manipulate currency to create jobs is futile and it has historically led to more withdrawal of jobs simply to escape volatility. No matter how many times this mistake is repeated, those in power see only their own power and never the economic or the long-term costs.